Adura, a specialised cyber security consultancy, revealed that Asia companies are starting to ask for more advanced cyber security services such as ‘reconnaissance or early kill chain’ services. Beyond meeting basic compliance requirements, companies in the region are now seeing value in Threat Intelligence, Network A.I. Behaviour and Phishing Susceptibility services. Traditional cybersecurity programs are aimed at ensuring compliance, usually through ethical hacking, cyber audits or staff awareness training. However, these rely on older frameworks which are behind the security curve. By the time a framework is approved and auditors are trained, a whole new set of cyber security challenges must be tackled. Hence, companies must approach cyber security with a long-term view beyond compliance. 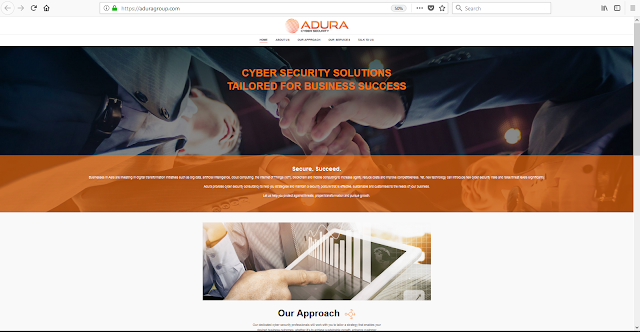 In 2017, Adura’s Threat Intelligence Services identified and successfully neutralised over 750 high risk Darkweb assets exposures for its clients. These included leaked confidential files, pre-emptive cyber attack intel, VIP and corporate impersonation, harvested staff system credentials, social media exposure, email forensics and security configuration. Conventional cyber security tools and compliance measures would not be enough to capture these exposures as doing so requires skilled personnel and analytical know-how. Adura’s Head of Cyber Security Services, Barnaby Grosvenor said that cyber threats are commonplace in today’s digital world and can have a serious impact on businesses of all sizes. Adura helps businesses put structure into their cyber security management approach through its proprietary Cyber Essentials Framework covering the three key pillars needed for effective cyber security management - people, process and technology.